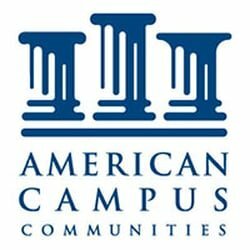 American Campus Communities, Inc. (NYSE: ACC) posted better than expected results for the third quarter of FY 18. Net loss for the 2018 third quarter totaled $2.3 million compared with net loss of $1.3 million for the same quarter in 2017. FFO for the 2018 third quarter totaled $60.6 million as compared to $59.0 million for the same quarter in 2017. Further, during the third quarter, the company placed into service $669.9 million of owned development and presale development assets on time and on budget. As of September 30, 2018, these properties were 97.0 percent occupied. The company also progressed with construction of its $426.6 million development and $107.3 million presale development pipeline with expected delivery in Fall 2019 and Fall 2020 and continued to progress with owned development pipeline projects totaling $657.0 million. These projects are all core Class A assets located on campus or pedestrian to campus in their respective markets and remain on track to meet their collective targeted stabilized development yield in the range of 6.25 – 6.75 percent for developments and 5.75 – 6.25 percent for presale developments. ACC in the third quarter of FY 18 has reported the funds from operations (FFO) of 44 cents, beating the analysts’ estimates for the funds from operations (FFO) of 43 cents, as per Zacks Consensus Estimate. FFO declined versus the prior year period primarily due to $613.6 million of capital recycling activity completed in the second quarter 2018 and the commencement of construction and $2.9 million of associated income for the on-campus development project with the University of California, Irvine recognized in the prior year period. The company had reported the adjusted revenue of $213.47 million in the third quarter of FY 18, beating the analysts’ estimates for revenue by 3.49%. The operating income for the quarter totaled $21.5 million versus $17.6 million in the prior year third quarter. The increase in revenue and operating income was primarily due to increased occupancy and rental rates for the 2018-2019 academic year and growth associated with recently completed development and presale development projects. NOI for same store properties was $80.3 million in the quarter, an increase of 4.5 percent from $76.9 million in the 2017 third quarter. Same store property revenues increased by 2.0 percent over the 2017 third quarter due primarily to an increase in occupancy and average rental rates for the 2018-2019 academic year. Same store property operating expenses decreased by 0.2 percent versus the prior year quarter. NOI for the total portfolio increased 12.6 percent to $95.5 million for the quarter from $84.9 million in the comparable period of 2017.